Enjoy the most of this town! 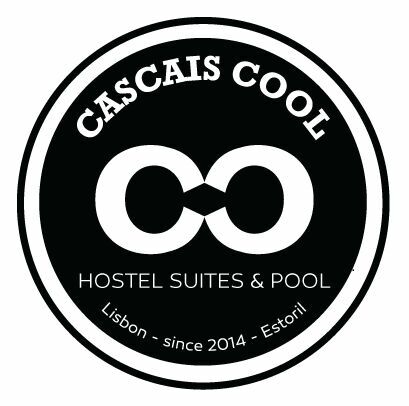 Cascais Cool Hostel Suites & Pool is located in the beautiful seaside town of Cascais, only 30km from Lisbon. There is only a 5-minute walk from the Hostel to the centre of Cascais. The beach boulevard with several beaches, bars and restaurants can be reached on foot in 10 minutes. Guincho beach, famous among surfers, is 7km from the Hostel. We at Cascais Cool Hostel want to offer you a warm, friendly and relaxing environment where you can feel at home. We have several accommodation options to fit individual needs and budgets whether you are a family with children, a couple, a group of friends or a single traveler. You can choose between comfortable suites with private bathroom, private rooms with shared bathroom, and dormitory rooms. Our Garden Cottage is a perfect choice for a family or a group of friends who wish to stay in an apartment with their own kitchen, bathroom and living room. The common areas of the Hostel include a spacious, fully-equipped kitchen, living room, sun terrace with swimming pool, and a large garden with a bar, barbecuing facilities, dining tables and hammocks. A continental buffet breakfast is served every morning and is included in the room price. From Cascais you can easily visit nearby places such as Cabo da Roca, the most western point of mainland Europe, or the historical town of Sintra with its magical palaces and gardens. Cascais bus station and train station are both within a few minutes´ walk from the Hostel.